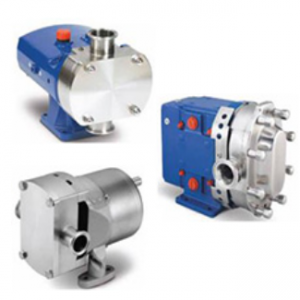 Alfa Laval Close Coupled Sanitary Pumps | Valutech Inc.
Below you’ll be able to select either sanitary centrifugal pumps or positive displacement rotary lobe pumps, and browse some of the model’s we think you’ll likely be interested in. If you don’t see what you’re looking for (or you already know exactly what you’re looking for), give us a call or get in touch using the contact form! Valutech has been successfully servicing Ontario and other regions in Canada for years now when it comes to hygienic pumping solutions. The reason that there are so many different types of units and models when it comes to pumps is because of the need to accommodate so many different types of work and application. No matter the application your pumps need to be a precise fit to ensure that nothing goes to waste, everything goes according to plan, and that your operation remain hygienic. As a general rule of thumb, applications that have a lower working viscosity (something thinner, like water) are dealt with using centrifugal pumps; rotary lobe pumps deal with high viscosity media, like a thick yogurt. Moreover, the rotary lobe impeller is more suitable when solids are mixed in existing fluids (strawberries blended into yogurt) and need to get properly entrained while retaining their structural integrity. Tri-Clover® connection components are sanitary, secure, and made of stainless steel. Designed with cleanliness and sound construction in mind, Tri-Clover® parts are built widely regarded as the standard in hygienic application transfer and control. Media collecting in deposits, or leaking through the equipment, absolutely cannot be happening at all. Tri-Clover® connections properly secure your equipment and work to keep your product and media sanitary. 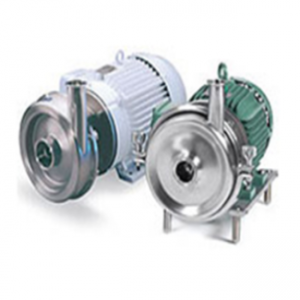 UltraPure is a special finish available on some Alfa Laval pumps. Designed with biochemical and pharmaceutical applications in mind, UltraPure maintains sanitary and hygienic environments. Efficiency and reliability need to go hand in hand with a zero-tolerance for contaminants—make sure to ask your Valutech specialist about the availability of UltraPure finishes for your Alfa Laval pumps. Available in a wide array of models and variants, Valutech offers a variety of industrial pumps to help optimize your operation without sacrificing hygiene. Access to our large inventory means that you’ll be getting outfitted with a unit that’s right for you, depending on the technical specifications of the desired application and existing equipment.